This Dycem jar opener helps those with a poor grip to open and close jars. The non-slip properties provide a good strong grip to make opening easier and to help make a good seal when closing. Dycem Jar Openers are dome shaped to fit comfortably into the palm of the hand. The Jar and Bottle openers’ are also ideal for people with a weak grip, decreased sensation in their hands and upper extremity weakness. 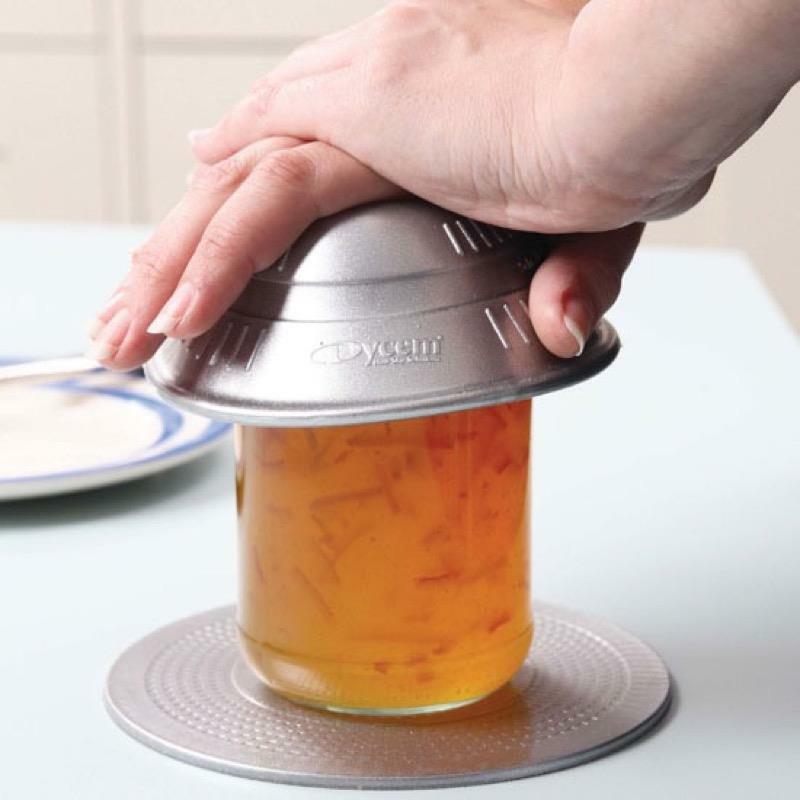 If a Dycem Mat is placed under a jar you can open lids with the use of one hand.